A galdiator based game where you are made to fight in the 20 coliseums in the four regions of the world. you are given the use of 400 different piecies of equipment. 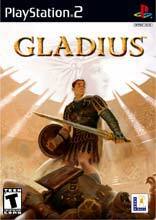 Your gladiators will learn new abilities as they progress throughout the game. There are 2 playable, characters each offering about 36 hours of game play.